Drowning is preventable. Help save a life. Drowning is the leading cause of accidental death for children under the age of five. Infants and toddlers can drown quickly and silently, in a matter of seconds. Drowning is preventable. The City of Escondido's Fire and Recreation Departments have launched an educational campaign that can help you protect your child. Escondido WARN - Water Awareness in Residential Neighborhoods - reaches communities with important water safety information that could save the life of a child you know and love. Children need to learn what to do in a water emergency. Assign an adult "Water Watcher" to maintain constant supervision. 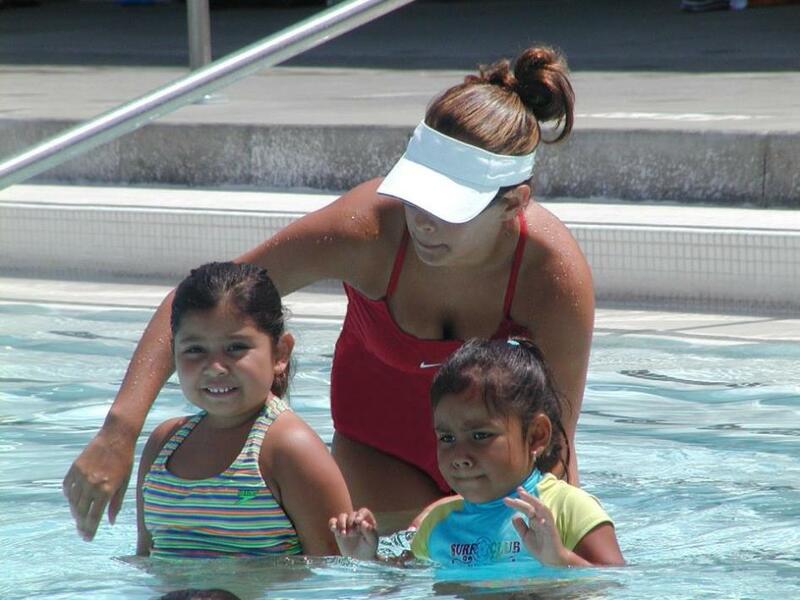 Watch children around any water environment including a pool, lake, tub, or even a bucket of water. All weak or non-swimmers should wear a United States Coast Guard approved life-jacket. The use of flotation devices and inflatable toys cannot replace parental supervision. Such devices can suddenly shift position, lose air, or slip out from underneath, leaving the child in a dangerous situation. Take steps to minimize unauthorized use of the pool. Install fencing with self-closing and self-latching gates and alarms around pools. Lock all doors and windows leading to the pool. Have life-saving equipment such as ring buoys or reaching poles available for use, and know how to use them. Keep toys away from the pool when it's not in use. Toys can attract young children to the water. Remove pool covers before swimming. Have a phone next to the pool so you can call 9-1-1 in an emergency. 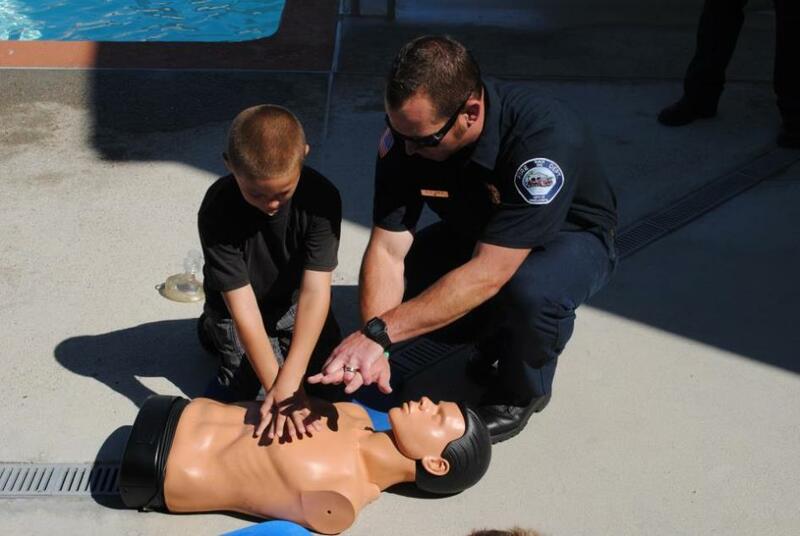 Understand the basics of life saving so you can assist in a pool emergency. If you find someone in trouble in the water, yell for help and get them out immediately. Call 9-1-1 and stay on the line. Follow the instructions of the 9-1-1 operator until help arrives, and begin CPR if you are trained. Non-swimmers should reach or throw but don't jump in to pull the person out of the water. Reach with your arm/leg, a broom/mop handle, a reaching pole, a wet towel or throw a lifejacket, ring buoy, ball or anything that floats. If a child is missing, check the pool first. Go to the edge of the pool and scan the entire pool bottom and surface, as well as the surrounding pool area. When kids are in or near the pool, always designate an adult Water Watcher. His or her job is to keep a constant watch on all children at the pool. A child can drown in a matter of seconds without making a sound. Please don’t be distracted by cell phones or socializing. Wear the “Water Watcher” tag and only be relieved of duty by another adult Water Watcher. 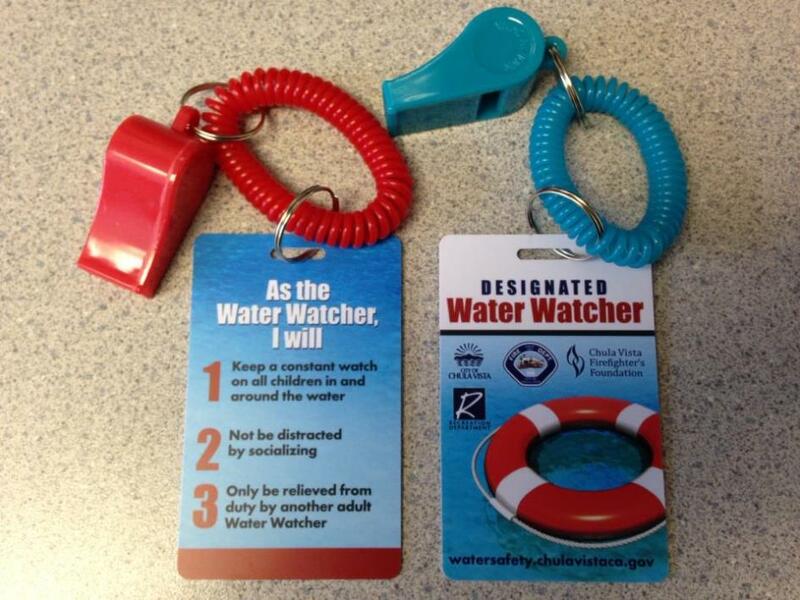 Pick up your free “Water Watcher” tag at any Escondido public pool or fire station.